The NPS2101 and the NPS2100-20 are NanoSensor, high voltage amplifier and control electronics combined as a single channel standalone module, powered by an external ±15V, 130V and -30V DC supplies. Designed to provide closed loop position control of Y mirror steering mechanisms, which incorporate Queensgate piezo actuators (MTP-15N) and sensors (NXB-3-Al). The control electronics allows the user to optimize closed loop response giving significant improvements in stability and linearity compared to open-loop operation. 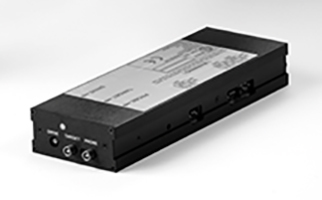 The NPS-2100-20 incorporates a -20V input. The NPS-2101 has positive and negative voltages inputs but has its Nanosensor screen driver disabled.